You might have already seen a Lubemobile mechanic around your area. Commonly serviced vehicles in and around your local area have been Holden, Toyota and Ford. Our mechanics arrive on site fully equipped and experienced to service all vehicle types. Recent clients have had their Mercedes, Volkswagen and Ssangyong completely serviced and repaired at their home address, their workplace and even their holiday destination. Parts are only of the highest quality and spares are sourced quickly and efficiently to ensure that your time is affected as little as possible throughout the repairs. Mechanics have on hand spares and parts like control arm, master cylinder and automatic transmission ready. The only reason I gave him a ‘4’ for appearance was he wasn’t wearing a bow tie! And my vehicle at the best of times is not clean & neat! (I live up dirt road) keep up the good work guys! Reece was excellent! I will welcome Damien back any time he was more than happy to explain things to me. He didn't make me feel like I was just a stupid woman. Very friendly. Wewill always request him on future jobs. Our clients have experienced the highest quality service and repair work on their vehicles. Find out what the all the fuss is about and choose from one of the 14 mobile mechanics in Lubemobile has in your area for you next service or repair work and have everything taken care of without having to go anywhere are at all. Join the satisfied customers who have already left us over 30 positive reviews in the Newcastle region tell us how great your mobile mechanic was. 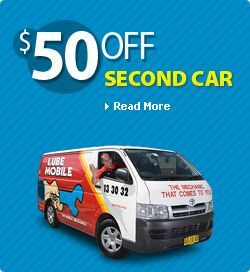 We are Lubemobile, the fleet of mobile mechanics providing high quality vehicle services all over Australia and available wherever your vehicle needs us. For cars located in Rutherford, you can have a fully equipped mobile mechanic at your preferred time for a full service, including parts replacement. We fully service your local area including New Lambton, Charlestown and Thornton. 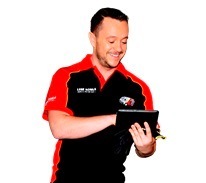 Lubemobile’s fleet of mechanics have serviced over 1,230 vehicles in your area throughout the past 3 months and the most common type of vehicle service in your area is Log book servicing. As completely mobile vehicle specialists, our fleet will arrive fully stocked to tackle any kind of service that your car requires including automatic transmission reconditioning , on-site tyre replacement from our fleet of specialist tyre services, and replacing a noisey exhaust.